Florida residents are finally starting to get back to their normal lives after Hurricane Irma wreaked havoc in the state for almost two weeks. Students in Miami-Dade and Broward counties, two of the nation's largest school districts, will return to class Monday, NBC Miami reported. Miami-Dade County schools Supt. Alberto Carvalho said Sunday on Twitter that all tardy notices and absences would be excused Monday and that some schools may not have air conditioning because of power failures. Some schools in the Florida Keys and other areas that were hit the hardest won't reopen until Sept. 25, The Associated Press reported. In addition to the free breakfast all students are entitled to @MDCPS, they will be provided free lunch for the foreseeable future. "I applaud the school district and its staff and its efforts to have schools at least minimally prepared to welcome students back to school tomorrow," said Alvin Gainey, president of the Miami-Dade County Council of PTAs/PTSAs. "I hope this all will create some normalcy amidst chaos," Gainey said. "Returning to school will allow our students the opportunity to rejoin their friends, refocus on their studies and potentially take a fresh breath from what has recently become our reality." 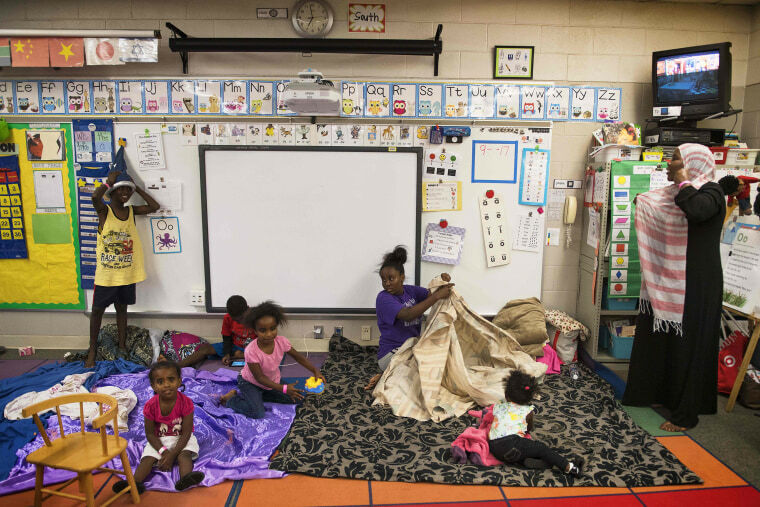 Residents used schools in both counties as evacuation and disaster shelters during Irma with more than 6.5 million customers out of power a week ago last Monday and roads submerged in knee-deep water. Winds hit up to 130 mph. Horrific weather led to the collapse of some buildings, such as post offices and homes. However, Postal Clerk Shannon Mitchell reopened the Ochopee Post Office in rural Collier County, the nation's smallest post office, which stood its ground against Irma. Mitchell's post office delivers to more than 900 residents, including residents on the Miccosukee Indian Reservation. Bus routes will also start to resume, but drivers will need to steer clear of debris and fallen trees. Police officers and crossing guards will be stationed near schools to further ensure students' safety. The MDCCPTA/PTSA also plans to help students adapt by preparing school supply bundles to distribute to students. PTA meetings, however, have been suspended. "At the County Council level, we have postponed most of our meetings for the near future to allow everyone to get settled again," Gainey said. "But we are here to hear the concerns any parents have, regardless of a formal meeting." Florida is undergoing other relief efforts to get back to normalcy. More than 700 representatives of Commonwealth Edison were making their way from Chicago to parts of Florida to aid in power restoration, NBC Chicago reported. Many Florida businesses will reopen once power returns. Although some businesses stayed open so customers could buy supplies, most remained closed.